Since 1991, Lisa Hoppe Travel Consulting has specialized in Destination Wedding travel planning. We expertly assist all happy couples – along with their entire wedding party, family, and friends – coordinate the perfect destination and experience for the bespoke wedding of their dreams. 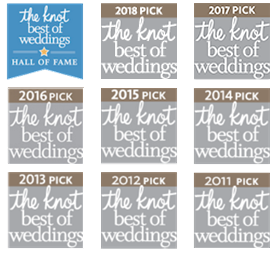 Where do you picture tying the knot? Here are a few examples of where we can send you to start your happily ever after! Set sail! With only 56 staterooms for 112 guests, a crew of 95 will pamper you to the fullest onboard SeaDream. Enjoy award-winning cuisine at a private table for two if you’d like, watch movies in the comfort of your Belgian bedding, or take complimentary mountain bikes ashore for private exploration. Romance will surely be in the air, from the breezy Top of the Yacht Bar, the beckoning Jacuzzi or sleeping under the stars on a Balinese Bed. Imagine your most special wedding day memories being made of this! A breath-taking sunset. Your toes in the sand. Staring into the eyes of your true love. Surrounded by your friends and loved ones. Sandals and Beaches destination weddings are intimate and beautiful, with every detail carefully planned out so you don’t need to worry – just enjoy the beautiful surroundings of your Caribbean paradise! You can stay and play at the adults-only Sandals Resorts in Jamaica, St. Lucia, Antigua, Grenada, and the Bahamas, or bring your entire family along to Beaches Resorts in Jamaica and Turks & Caicos. For an exceptional wedding, an exceptional day…board a helicopter from your hotel in Bora Bora or Taha’a and seal your union in a unique place, free of artifice, with a purity of colors that only Mother Nature can offer. Descend from the helicopter onto red carpet upon your landing in Tupai is one of 5 heart-shaped atolls in the world. Exchange your vows in complete privacy on a beach of fine sand with just the turquoise lagoon and the shade of the coconut palms as witnesses. Now you don’t have to go all the way to the South Pacific to have a romantic, overwater experience. Say “I do” in an intimate setting surrounded by the blue waters of the Caribbean in either Saint Lucia or Jamaica. If you prefer to have your toes in the sand while you exchange your vows, the private island experience could be the perfect fit. Let our team expertly craft a customized private island destination wedding and turn your dreams into a tranquil reality. 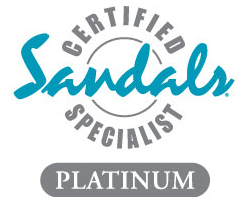 You can have an all-inclusive experience at Sandals Royal Caribbean, Sandals Royal Bahamian and Fowl Cay Resort. We can also set up a complimentary consultation for you to discuss what important features you’re looking for in your private island experience!